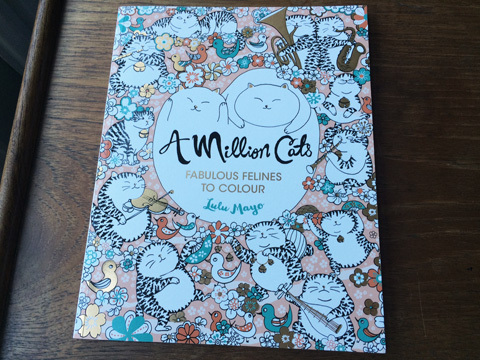 I've spoken about my love of A Million Cats in my previous post highlighting my favourite colouring books of 2015, and now I am finally able to bring you an exclusive interview with the artist Lulu Mayo. This is Lulu's debut book but the reception has been so fantastic that she is set to release another book geared towards dog lovers, called, yes you guessed it, A Million Dogs. Both books feature a plethora of cute animals in ridiculous situations, inspired by a childhood love of the infamous cat bus in cult Japanese animation My Neighbor Totoro. A must have for all the animal loving colorists out there.